If you know me personally, you’ll also know that I’ve always had an affinity for Isofrane-style straps. Isofrane straps were one of the most sought-after rubber straps in the 1970s, and that remains to this day among vintage dive watch collectors as well as enthusiasts. Thanks to their unprecedented combination of durability as well as comfort. Isofrane straps were considered a game changer when they first debuted in the 1960s, and have captured fans since with their eminently desirable vintage yet modern aesthetic as well as durability and comfort. In my mind, Isofrane straps are a quintessential example of the fabled principle of form following function. 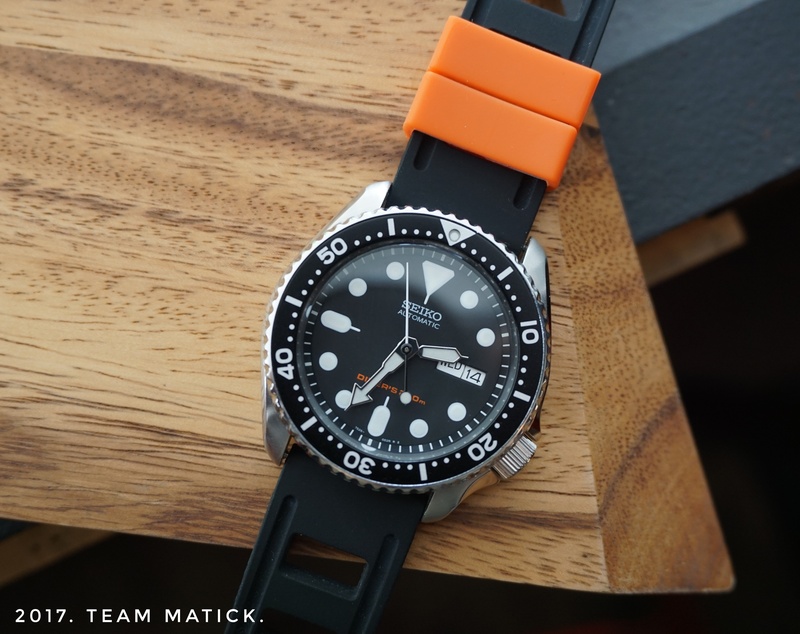 Unfortunately though, we all know how expensive genuine Isofrane straps can be, as they are priced at nearly $150 USD, a mere ‘desk diver’ such as myself could never justify spending so much on a single rubber strap. 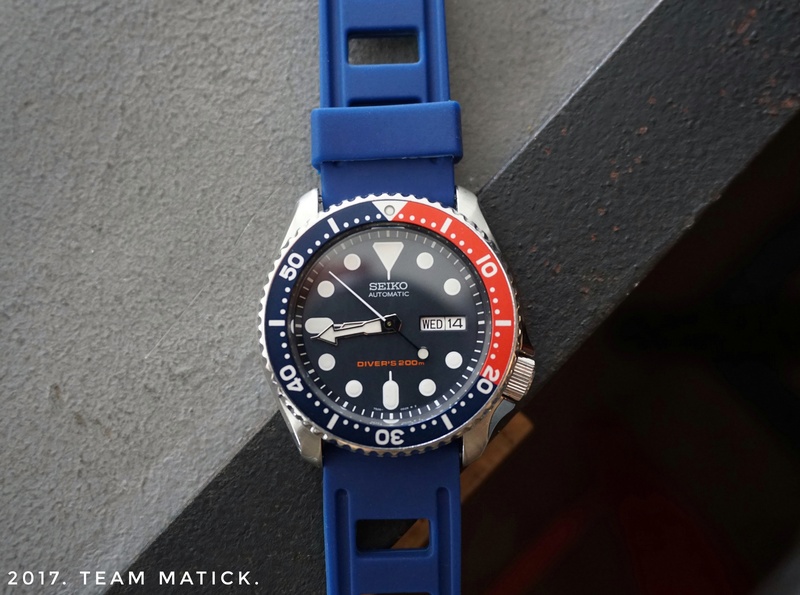 The way I see it, it is practically fatuous to purchase a strap which may well cost more than the watch itself (talking about my Seiko SKX007 here). This is where Straposhere comes in. At this price point, how can we argue with that? You’re still getting a nice rubber strap, which does what 99 per cent of us would expect it to do just fine – desk diving. A quick visit to their website reveals that Straposhere is a company based in a land not far from home: the island city of Singapore. 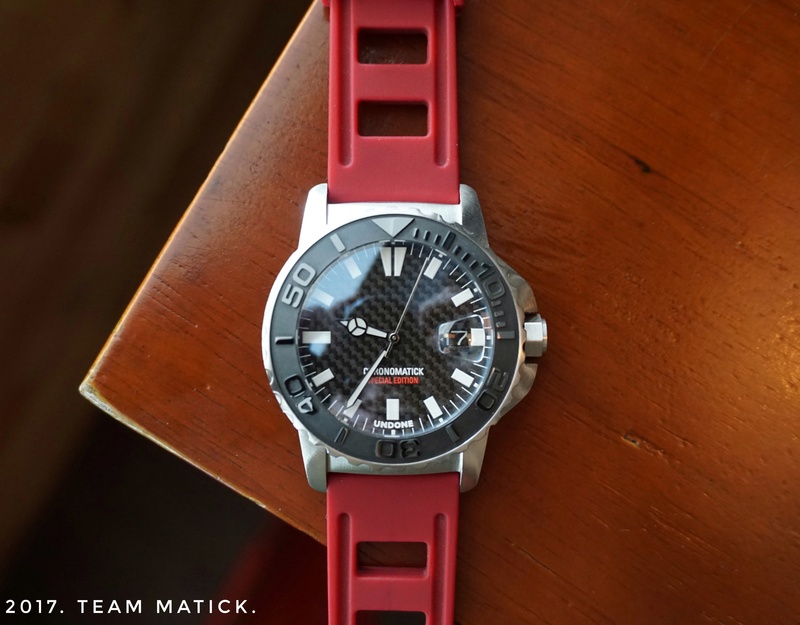 Specializing in premium silicone rubber straps, The brand is founded upon four fundamental core values, those of which I believe every brand in the industry should always take seriously –being Reliability, quality, functionality, and affordability. These are the core values Straposphere hold close with everything they do, and strive to reflect in each and every one of their products. Recently, I’ve had the pleasure of being offered the opportunity to get my hands on several of Straposphere’s products for review. As I’d always been a huge fan of the Isofrane style, I immediately gravitated toward their StrapISO line-up, which is the most similar, aesthetically speaking, to the actual Isofrane straps. When the StrapISOs arrived, the first thing I noticed was its simple and no-frills packaging, with the straps themselves being carefully stored in envelopes made from very thin cardboard-like material. You’ll also find a warranty card attached to each package. Overall, packaging was clean and simple, and I had no qualms whatsoever in this regard, especially considering the straps’ relatively affordable price tag. When I first held the straps on my fingertips, I immediately took a fancy to their buttery-soft feel – the inner and outer linings were smooth to the touch; – it wouldn’t take much for one to imagine the comfort of wearing the straps on their wrists. Some of you may be aware that I recently took up a part-time job as a barista. Needless to say, such a job would inevitably entail activities involving lots of splashing, frothing, steaming and spillage of various liquids. I’ve been wearing the StrapISOs virtually every day for a good three months now, and all I can say is that they perform their function rather admirably. The straps were extremely comfortable and had no issues wearing them on my wrist for long hours. During my shifts, I never once experienced any unpleasant stick-to-the-skin sensations, which is a predicament I have consistently experienced with other rubber straps, especially so in sunny and humid Malaysia where perspiration is, for the most part, inevitable. Whilst an often overlooked feature, also worth mentioning is the straps’ smooth keeper action on top of the buttery smooth strap lining. Why? Let me first start by saying that I have traditionally despised typical rubber straps for one reason, namely, the irritating feeling when the strap keepers pinch on my skin, as a result of friction caused by rubber-to-skin contract. By having a smooth inner lining, Straposhere has pretty much rectified this annoyance, especially in hot and humid weather conditions where perspiration is imminent. I also really appreciate that the holes act as extra buckle holes for my tiny 6.5 inch wrists. So to all my fellow watch geeks with small wrists, rejoice! I am fairly certain, at this point, many of you will be having the following question on your minds: since the IsoStrap(s) derive their inspiration from the original Isofrane strap, does this mean they also bear the hallmarks of the iconic Isofrane style and technical requirements as well? Well, my answer to that question is neither a straightforward yes or no. Allow me to elaborate. In terms of comfort, there is no doubt in my mind that the StrapISOs are an extremely comfortable daily-wear strap, thanks to their softness and flexibility as well as keeper design. Regarding durability, however, the jury is still out in this respect. While it may be rash for me to jump to a conclusion at this point, the StrapISOs do feel a tad lighter than the Isofranes I’ve handled. I also noticed a tiny gap between the lugs where the spring bar holds the strap. Over time, this may prove to be a failure point in my opinion, which forces me to arrive at the conclusion that the StrapISOs are unlikely to be suitable for any sort of professional diving. Another feature worth noting is that unlike their other counterpart, the StrapISOs do not bear any vanilla scent. Without “diving” too deep into the aforementioned comparison, we should all judge the product by its merits – do not get me wrong, it is still a classically styled and supremely comfortable strap for $15 USD. At this price point, how can we argue with that? You’re still getting a nice rubber strap, which does what 99 per cent of us would expect it to do just fine – desk diving. If you’ve read any of our previous strap reviews, you would likely have noticed how picky we are when it comes to straps. But as far as we’re concerned, the price-to-quality ratio offered by Straposphere is a no-brainer. In other words, the StrapISO lineup offers truly fantastic value proposition. Customer service is likewise excellent (a big shout out to Ezekiel for your patience and for helping us out for this review!). On these bases, we can confidently say that Straposphere is another strap company we could get behind with. If you’re looking to pick up some of these straps, be sure to use the code ‘TEAMMATICK’ for a small discount off your order! The StrapIso comes in five vibrant colours and mostly in 22mm and 20mm widths. You can check them out here. Visit our friends at Straposphere.com to view their entire collection! Finally, a big shout out to Cellar Eighteen for letting us shoot on their premises. Thanks for reading and ’til next time!